One of the most storied NFL playoff teams ran into a rejuvenated Tim Tebow and the Broncos. The Steelers got Tebowed Sunday – the hard way. 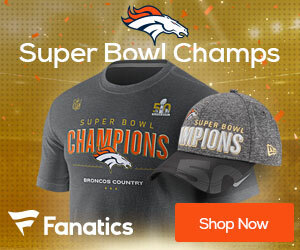 Tebow connected with Demaryius Thomas on an electrifying 80-yard touchdown pass on the first play of overtime and the Broncos defeated the stunned Steelers 29-23 in the AFC wild-card game on Sunday. The play took 11 seconds and was the quickest ending to an overtime in NFL history. Thomas hauled in a high play-action pass at the Denver 38, stiff-armed Ike Taylor and then outraced Ryan Mundy to the end zone. Tebow knelt in his own end zone, pounding a fist in triumph before taking a victory lap in jubilation. Behind Tebow’s 316 yards passing, the Broncos (9-8) are heading to New England for a second-round game against the top-seeded Patriots on Saturday night. The Steelers (12-5) lost despite Ben Roethlisberger rallying Pittsburgh from a two-touchdown halftime deficit with 10 points in the final 10 minutes.